New Years Eve 2013 – 2014. This year I decided to do something different for NYE. 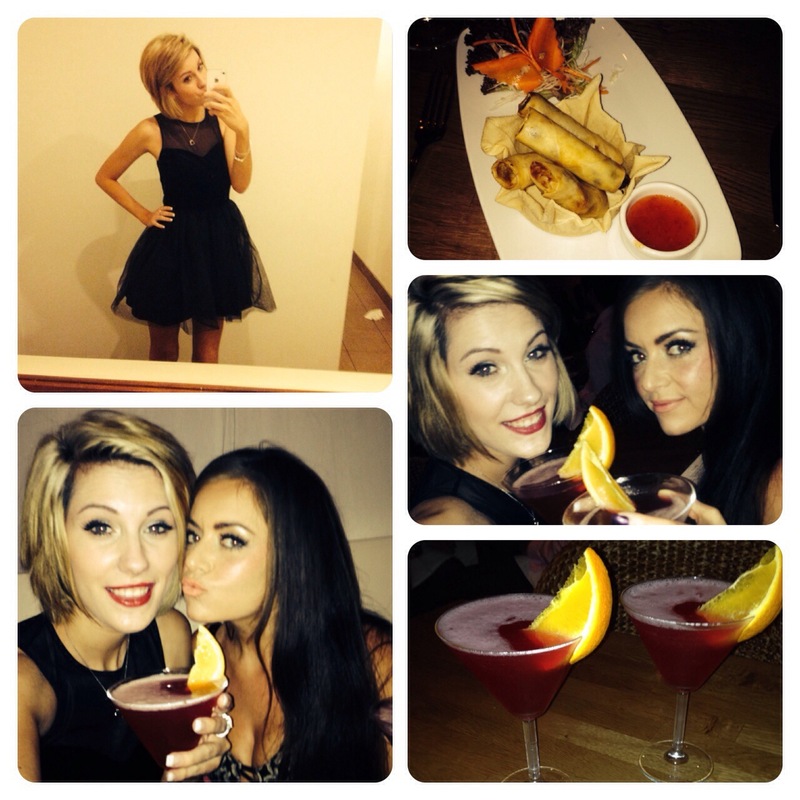 As many of my friends were not going mental and throwing ridiculous house parties, I decided that me and a girl from work were going to go for a civilised meal with cocktails at the Marriott Hotel in Bournemouth. Compared to last NYE, this NYE was going to be completely different. NYE 2012-2013, I worked in a local night club that threw a massive NYE party stretching over a 12 hour period. Not only was it insane, I had one of the best NYE I have ever had. During 2013, I have drank a hell of a lot more than I have drank in previous years. I turned 21, I went on a hen weekend, my friends turned 21, I went to a wedding, it was my friends uncles dogs brothers birthday. Any excuse there was, I used it as an excuse to get drunk. Not this year. 2014 is the year where I cut out alcohol. Not completely because that would be silly, everyone likes a social drink. But just not go mental. Be sensible (if I even know the meaning of the word). So with this in mind, Sima and I headed off into Bournemouth to the Marriott Hotel for a lovely meal and cocktails. Not only had we dolled ourselves up in pretty dresses, we had our nails done, hair was nice and we even chucked on heels. The night was amazing. Just the two of us. Girlie chats. Delicious food. Amazing cocktails. & champagne. I’m actually really happy that we decided to spend the evening together in a restaurant and bar rather than hit the town clubbing. It was social, we had a laugh and we got slightly tipsy on the cocktails. It’s safe to say that even after we left the Marriott hotel, I may have ventured into town for a boogie but who doesn’t like shaking their tush after a cocktail or two. All in all I had a lovely NYE and I hope the new year brings health and happiness to all my friends and family. < 100 Things I Did In 2013.